The Raspberry Pi is a credit card sized computer with a low, low price. You can connect it to your TV, a keyboard and a mouse and use it to do almost anything. You can even connect it to the real world using the hardware interfaces that are built onto the board. 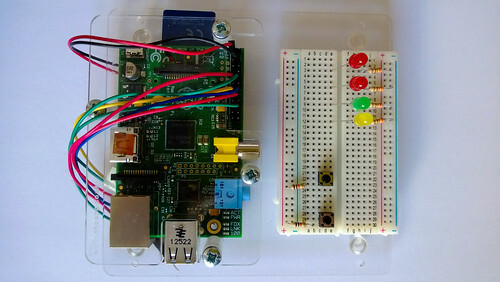 You can find my teaching notes for hardware interfacing with Raspberry Pi here.